Baia de Norte looks out quietly on the Atlantic waves washing into the bay below, with the brown gravel slopes of Monte Verde running away above. Chickens hop along the walls and dogs jog around the corners and we are welcomed by the squealing of a couple of pigs in breeze-block pens. 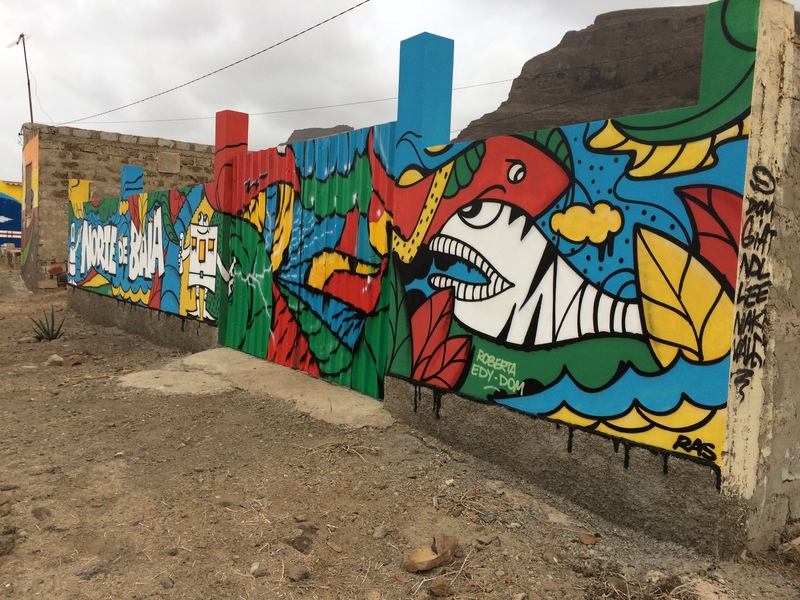 Bright blues and reds, sharp lines of green and blasts of yellow shout across the dirt roads and bring to life the simple walls of the village. 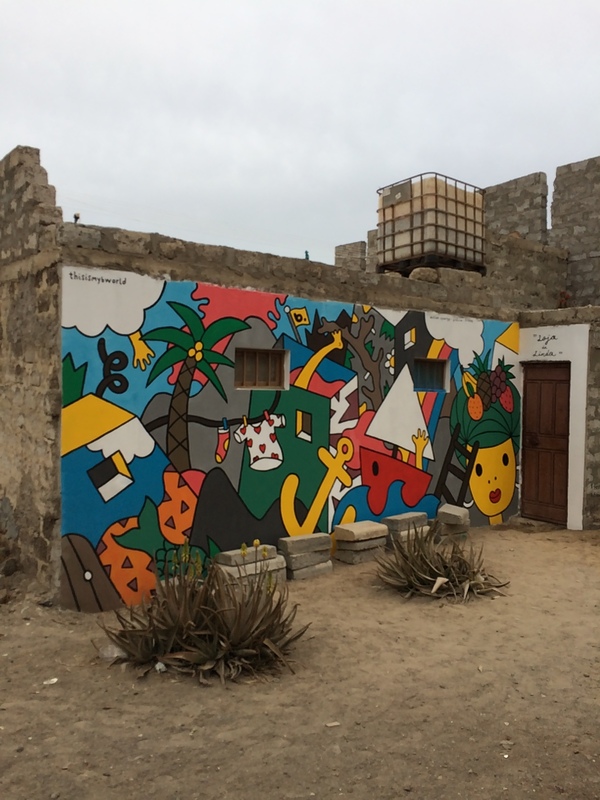 A group of artists from fellow Portuguese-speaking Brazil have come to Baia de Norte over the last couple of years, using their artistic skills to bring the warmth and optimism of colour and light to the humble houses. 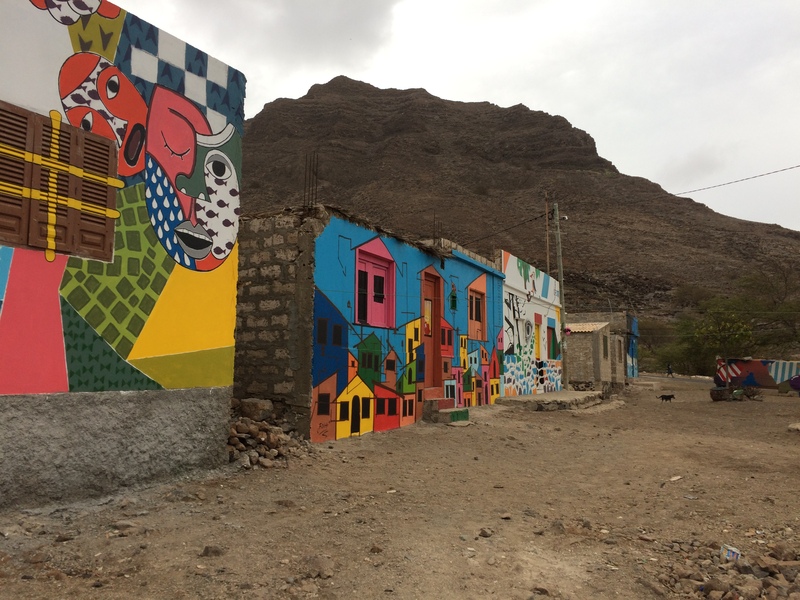 The co-operative have shown off their thoughtful designs throughout the small settlement, which overlooks Baia das Gatas on the northern coast of the island of Sao Vicente. It is rich art with a range of work that often incorporates the existing windows and pipes on the village houses into the paintings. On one house, pink boats and yellow anchors call to mind the surrounding open Atlantic, which laps the shores of both countries. Large palm trees and quirky houses adorn one wall, with ravenous animals on another. There are fishermen and different figures, there are bold blocks and intricate facial details. There are also less obvious spray-strokes such as someone’s polka-dot washing hanging on a line. It is brilliant art splashed against the grey walls. 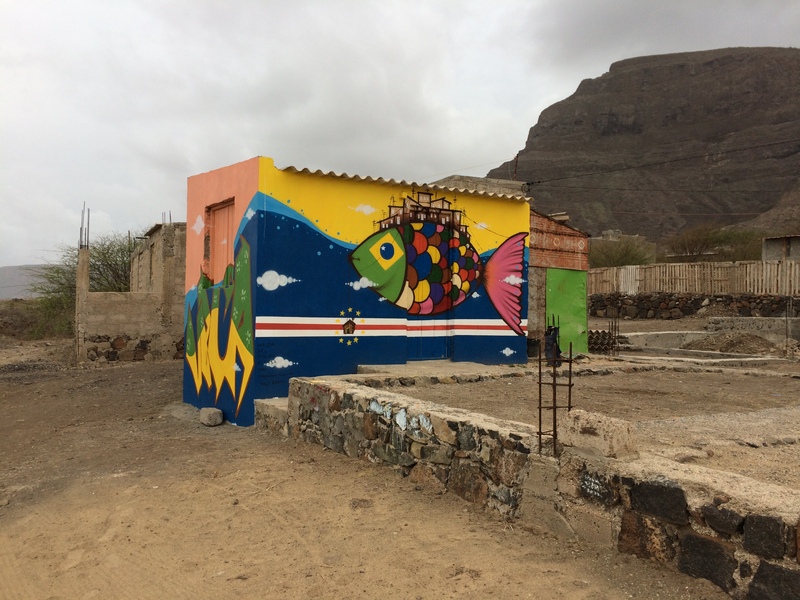 There is also a fish portraying the international connections with its head of Brazilian green, yellow and blue as it drifts through the sky and sea blues of Cape Verde. The islands’ villages are often brightly coloured, with big bands of orange, teal and crimson shining in the streets. 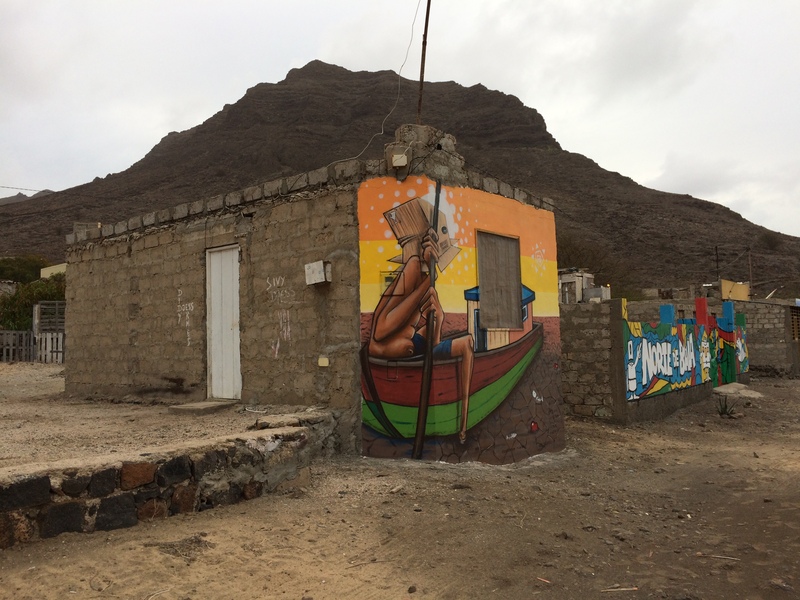 Here in Baia de Norte the artists bring that brilliance to a less fortunate corner of what is a beautiful archipelago.